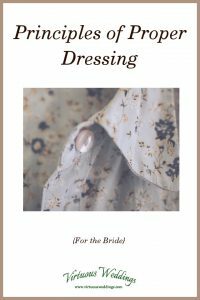 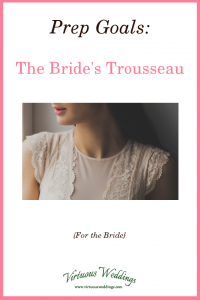 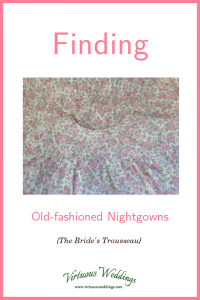 Trousseau is pronounced troo’ so or troo so’ (true-sew or true-sew), and it means “the special wardrobe a bride assembles for her marriage.”From a Virtuous Weddings perspective, a trousseau might. . .